Cloud Storage Services has become more and more popular, specially when mobile devices like Android smartphones/Tablets, iPhones and iPads became popular. 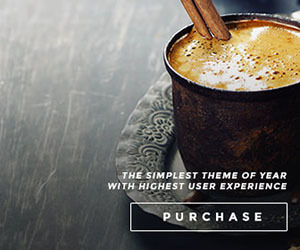 They usually offer a free 5GB of cloud storage for Free accounts. But how about what if you need more storage, this means you have to pay for their subscriptions already. Cloud Storage can be expensive, specially if we are talking about TeraBytes of capacity already. But what if you want to have your own personal cloud storage network, where all your files is just sitting at your home? What if there is a cheaper solution? Well, fortunately there is! In this article, let me show you how to make your own personal cloud storage network, where you can easily share and access your files whether in your home or office network, or anywhere in the world. What will you be needing to build your own personal cloud storage network? You just need a device for this, like your own server (except that it’s not really a server). You will be needing a NAS (netowrk attached storage) device, like Drobo, Buffalo CloudStor or an Iomega Home Media Network Hard Drive, Cloud Edition. But the most user-friendly, and does not need a technical knowledge, is the Western Digital My Book Live Duo Personal Cloud Storage Drive. And of course, you will also be needing a Gigabit Router (like Western Digital My Net N900, Linksys EA4500, ASUS RT-N66U Gigabit Router), an internet connection and your mobile device. These devices delivers what a cloud storage service offers. So instead of uploading all your files to a company’s server, like DropBox or iCloud, all your files are placed in your own cloud storage drives and you just access your files directly from your own personal cloud storage drive anywhere in the world. It’s that easy and simple. The WD My Book Live Duo is easy to setup. Just unpack it, connect it to your Gigabit router, set it up and your good to go. All the things you need to know how to set it up is included in the package. It’s very user friendly and easy to understand. The Western Digital My Book Live Duo with 6TB capacity (two 3TB WD Green hard drive included) is priced at around $426.99, while the 4TB (two 2TB WD Green HDD included) is priced at around $351.99. Meanwhile, a cloud storage service like Dropbox, for their 1TB it will cost you $795 per year, Google Drive’s 1TB will cost your $599.88 per year, SugarSync’s 100GB will cost you $399.99 per year. Did you see the difference? The price difference is big actually. With WD My Book Live Duo, you get a personal cloud storage with up to 6TB of capacity. While in cloud storage services, they only offer 1TB at a much higher cost per year. Aside from the large capacity that you can have with a personal cloud storage drive like the My Book Live Duo, you can actually save a lot of money. You will also have 100% full control and access to your files since you own the device and the physical drives are just sitting in your home. You can also set it up and make it a source of your home entertainment system. Your device, like My Book Live Duo should be turned-on and should be connected to the internet at all times for you to access the files at any time. Since the My Book Live Duo uses a WD Green hard drive, and not an enterprise-class hard drive, there is a chance that the hard drive will fail, taking all your data with it. That is why, it is recommended that you get the My Book Live Duo with RAID 1enabled for double-safe backup just in case the drive fails. The My Book Live that has only 1 HDD doesn’t have this kind of feature. The transfer rate is dependent on the bandwidth of your internet connection. For personal use, the personal cloud drive network using WD’s My Book Live Duo is a great and cost-efficient and effective way to access and share your files any time and any where in the world. But if you want more options, more functionality, and larger storage capacity, you can always opt for other NAS (Networkd Attached Storage) devices, like Drobo 5D, QNAP or NetGear. 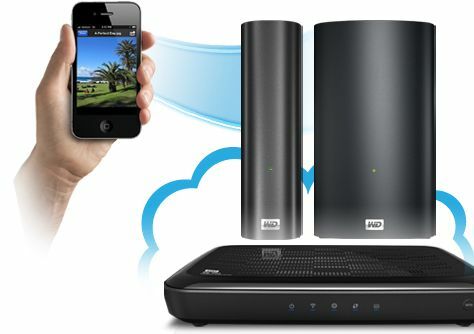 The Western Digital My Book Live Duo is great for personal and home use. But I would not recommend and rely on this for business purposes or if you are planning to store important data on it. Instead go for business or enterprise class devices, that supportsenterprise-class hard drives (or solid state drives), such as; WD Sentinel DX4000,Drobo 5D or Drobo B1200i. Oh, by the way you might be looking for review on the WD My Book Live Duo, ignore the reviews and customer feedback starting 2011 down. Those where the times when the Western Digital is still improving their My Book Live Duo. If you look at the 2012 reviews and customer feedbacks from Amazon, there are a lot of people who liked the My Book Live Duo and finds it a great way for a personal cloud storage drive.